Think of the times in your life you have lied. And why. Were you afraid of what would happen if you told the truth? Worried how the other would react? Whether you’d get into trouble? Or because you felt ashamed? Because covering up the truth seemed easier than dealing with the lie? Because you felt the other wasn’t ready to hear the truth? Or perhaps because you didn’t even know the truth yourself, weren’t yet in touch with it? Or you just wished so very much that things were different? Whichever the reasons may be, I invite you to keep in mind your own journey with truth-telling, its opposite, and all the in-between shades of grey, as we consider how to respond when our children lie, and how to encourage them in finding and expressing their truth, in this way building relationships that are worthy of trust — trustworthy. When parents discover their children are lying to them, they are usually filled with keen dismay, sometimes incredulity, puzzlement or anger, and underneath it all, always, in my experience, with sadness. We know intuitively that truth-telling is key to building and nurturing a trusting relationship. We know that without it, we quickly enter slippery ground. It becomes harder to know one another, difficult to trust. Lies get in the way of closeness, intimacy and connection. Over the past few months this question has come up frequently in my counseling and parent coaching practice: What do we do when we find our child lying to us? How to deal with, prevent, heal and course-correct? It is a vast topic and inquiry. In this article I share with you 13 ways to prevent, as well as to respond. 1) Listen to what is going on “underneath” the lie. One of the most profound shifts in our view of and interaction with children takes place when we realize — and I mean, truly get — that they make sense. Not necessarily “making sense” in the way of articulate reasoning, logic or clear communication. But that there is always a reason behind what they do. They don’t just do things for the heck of it. In this way, they make sense. And it is our task and responsibility as adults to decipher what that reason may be, to understand them more, to listen deeper, and to find out what that “sense making” is. While they are busy learning our language, we need to be busy learning their language. In the context of this article, what are they saying when they lie? There is a communication in that too. When we hear the message tucked in the lie, we are much better equipped to respond appropriately. 2) Consider your child’s developmental age. We — adults and children alike — grow through ages and stages. As we develop, our understanding and appreciation of fantasy and reality also develop. When dealing with a child whom we perceive is lying, it is important to include in our discernment and our response, where they are at in their developmental journey. When a 3-year-old says, “My grandma is very, very old, 200 years old! She’s gonna die soon,” he is not lying, he is simply expressing his own subjective view, as well as impressions he may have picked up, perhaps also watching for how others react to what he says. Or when a 4-year-old vehemently insists that she did “truly see a fairy peek from behind that rock over there,” she is playing with and exploring the line between the imaginary and the real. On the other hand, when an 8-year-old denies having played on his iPad when he was supposed to be finishing his homework, he is well aware of the difference between what really happened and what he is communicating. Different developmental stages require different responses. 3) Pay attention to the many ways your child expresses himself, not just the verbal ones. We can only be as honest with others as we are with ourselves. Thus, a child’s capacity to be honest is connected with his level of self-awareness and self-knowledge. Your son might say “I’m fine” or just “fine,” in response to your question, “How are you, how was our day?” not in order to fool you or to cover up what is really going on, but because the feelings are too complicated and confusing to put into words. He doesn’t actually know what he is feeling, so “fine” may be the best he can muster in the moment. This is another reason why it is so important to pay attention to the many ways a child speaks his truth — facial expression or lack thereof, gestures, body posture, art, music, energy, etc. 4) Make the connection with your child your first priority. Connection is the foundation for truth-telling. It is the ground upon which honesty grows. A well-connected child wants to share her heart with you. She wants, even needs and is compelled to let you know what is on her heart and mind. Connection is the strongest, most reliable preventative measure you can take against lying. Make time for it. See it as the one thing that shall not be compromised on. 5) Walk the talk. Show by example, model integrity yourself. Children learn primarily through imitation, or as Robert Fulghum says, “Don’t worry that children never listen to you. Worry that they are always watching you.” So, notice whether what you say and what you do align. When you promise your child, “I’ll be back in just a few minutes,” how accurate is that? Are your speech and your actions in alignment? Try to be consistent with your integrity, and accurate in your language. If, for example, your son asks you to watch him at his baseball game on the weekend and you are not sure you can fulfill his wish, then say something like, “I will do my best to be there” or “Help me remember that we are planning this,” rather than “Sure.” View your speech as sacred and use it mindfully. 6) Teach your child, from about 6-7 years up, that freedom goes hand in hand with responsibility. The natural progression of growing up includes expansion — a growth in freedom and also increasing levels of responsibility. Let your growing children know that when they, for example, misuse their growing freedom of speech (eg. by misguiding or hurting others), there is a natural consequence: they become less trustworthy, and in a future moment/situation this could really impact them. If you find them lying to you, discuss with them how they can make good. How they can earn your trust back? Find ways for them to rebuild the broken bridge. And if you find yourself lying, apologize, take responsibility yourself and make good. Make it clear that being believed is initially granted to all, and then, as we grow older, a privilege earned. 7) Be a safe haven, a welcoming receptacle for everything. This does not mean you have to agree with everything your child tells you! It does mean that if your child senses you are closed, judgmental, anxious, or might overreact around a particular subject, she may very well choose not to divulge what is on her heart and mind. One of the best ways to ensure that your child will keep telling you what is going on in her life, is to notice where you yourself are stuck and frozen, and to deal with those topics and feelings. Face into them, unfreeze yourself — be these topics of sexuality, money, power, religion, or any area of life around which you feel contraction. This is ongoing work, and can also be done on the spot. One mother was telling me how she felt herself freeze as her 15-year old surprised her with a sexual inquiry. As she caught herself freezing, she said to her daughter, “Honey, hang on a sec, I just need a moment, and then I’d love to hear what is on your mind.” She took a few deep breaths, remembered her commitment to want to be available for all of it, and then gave her daughter her full attention and open mind, more glad to be in touch and aware of what her daughter was curious about, than to protect herself from what feelings this might bring up. The beautiful thing about this practice is that the old adage, “And the truth shall set you free…” works for all involved. The more we unfreeze, the freer we become. 8) Teach your children the value of truth-telling. Passing on values is a huge part of parenting. If you don’t do it, everything else will — peers, media, the internet, society at large. So, how do you feel about the truth? Speak openly with your child, tell him about the sacred nature of words and of agreements. Words mean something, we rely on them to know what is going on for each other. Agreements are sacred, they matter and are to be honored (unless otherwise communicated or in an exceptional situation). We need to be able to trust each other’s words, else it is very difficult to trust one another. Teach your children how much more simple it is to tell the truth. As Sir Walter Scott said perceptively, “Oh what a tangled web we weave when first we practice to deceive.” It is a web that we quickly trip up and get lost in. Point this out to them when it happens, and bring awareness to the freeing effect of telling the truth, the goodness and the unburdening effect telling the truth has. 9) Dare to be vulnerable. Tell your children that you rely on them telling you the truth. You are dependent on their willingness to share. You can try to guess, but really, their truth is something they can choose to give you or not. Building trust between you takes both of you. Apologize for any times you have been out of integrity. See it as a journey you are both on. 10) Realize that there is The Truth, and then there is subjective truth. A lot of the time we are dealing with the latter, while speaking as if we are dealing with the former. If you reflect on what you deeply and truly know to be true — the without-a-doubt-deep-in-your-bones-knowing, such as “Love is good” — the list is likely not that long. Understanding this doesn’t relativize everything, but it puts it in context and helps you consider in any given moment whether what is being perceived by you as a lie may indeed simply be a differing subjective truth. And that there is space for more than one subjective truth. So, when you are feeling uncertain about whether your child is telling you the truth, don’t jump to conclusions and accusations. Inquire first. See if you can find out how and why they are “making sense” in the way they are. 11) Take time and make space to listen… to small stuff and big stuff. 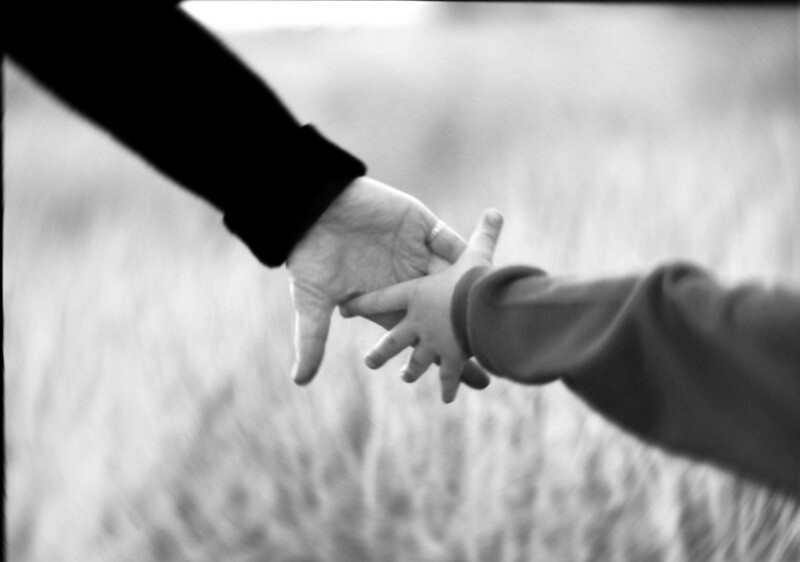 Sometimes the words don’t come, sometimes it’s easier to speak while walking side by side rather than sitting across from each other… find out what situation and environment works best for your child to share with you, and make time, carve out space for that. 12) Make a difference between the person and the behavior. When you find your child lying, make sure to deal with the lying, rather than calling him a liar. Labeling the person boxes them in and is more likely to lead to shame. Naming the behavior calmly, and clearly, without added charge and judgment, leads to awareness, accountability and the possibility of change. Express concern and disappointment about the behavior and simultaneously reassurance that they are a good person, with capacity to speak the truth and show up with courage and integrity. This motivates your child to improve their behavior, and helps her internalize and strengthen her self-identity as someone who can become ever more trustworthy. It is OK for your child to feel guilt — which is the feeling that she has done something wrong, and can repair it. Regret is an important part of course-correcting as we grow up. Shame, on the other hand, comes from a negative judgment about her personhood, it puts her down and makes her feel worthless and small, stagnating, possibly even reversing her growth into an empowered, joyous, truth-teller. 13) Build your village! As our children grow up and become adolescents, they may well go through a period during which they are less inclined to share openly with you, from whom they are individuating. If you have helped them connect with and trust other adults during their childhood, people who are like extended family for them, they can go to these real or “adopted” aunts and uncles in times of trouble, decision-making or simply to share what is going on for them. In this way, truth-telling can be held in a larger container, and the worry a parent may feel, is eased, knowing there are others who deeply care about and are confidantes for your child. One family makes a point of explicitly seeking out at least one such mentor and friend for each of their children before they are 12-years-old (if possible earlier), people who commit to this relationship and take this role seriously. Once our children become older and have internalized the value and habit of speaking the truth and showing up with integrity, we can introduce them to the finer nuances of truth-telling, which include skillful means, awareness of what someone is ready to hear, and a weighing of various perspectives. As my grandfather once told me in German: “Alles was Du sagst, sei wahr; aber nicht alles was wahr ist, sage!”(Translated: “May everything you say be true, but not everything that is true needs to be said!”).